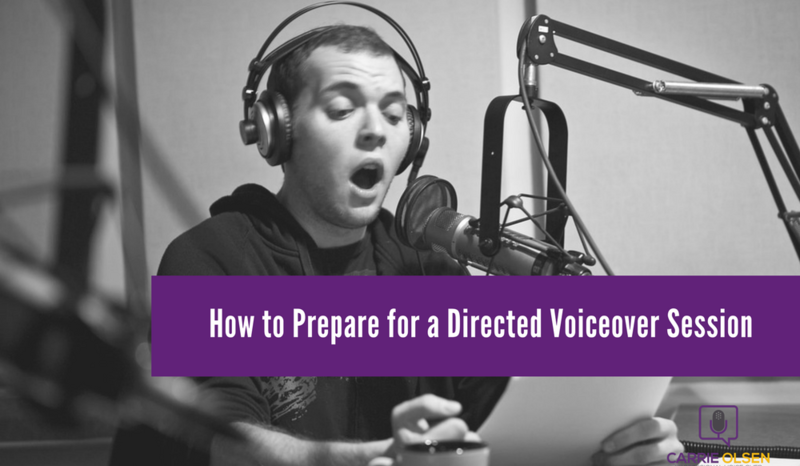 When you join the #voiceoverbigleagues, you're definitely going to want to know how to prep for a directed voiceover session! What is a directed session and how do you prepare for it? 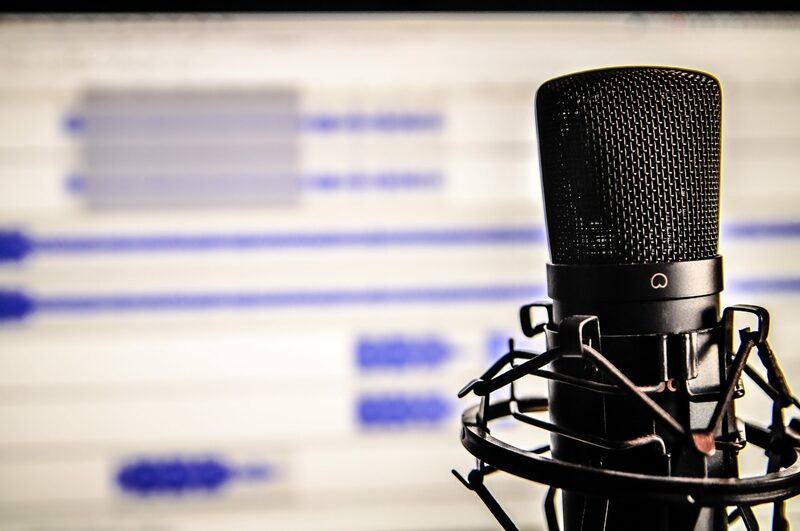 If you are serious about doing voiceover for the long haul, there will come a point when a client would request for a directed session -- which can be done either in a recording studio or at your home studio. Today, I’m going to talk specifically about what a directed home studio session is and how you can prep for it. What is a directed home studio session? A directed home studio session is when you are recording from your home studio, but you're being directed live by the client remotely. Typically, when you get voiceover work -- the client sends you the script, you record it from your home, and you do your own direction. So this means that no one is there with you giving you suggestions, directions, or recommendations for your read. You’re on your own in making all of those decisions, you edit it, and you send it off to the client. However, there are times when clients would want to be “there with you” while you are recording, so that they can offer you input and ask for things to be read in a specific way. This gives them a stronger grasp and a stronger handle on the creative direction of the spot that you’re recording. How do directed home studio sessions happen? A lot of times during a directed session, the client will say something like, “Just give me an A, B, and a C -- whatever feels right to you, go for it.” So when you get to that point, display your skill set as a voice actor. Display all of the skills that you have been honing through your training, and maybe through improv classes and acting classes. And give the client something awesome. So let's say for example -- I'm here in Kansas City, I booked a job for a commercial, and the client is in Chicago. We would decide ahead of time how the connection is going to happen (which I’ll discuss more in detail later). And I'm in my studio, the client is in their studio, and through the magic of the internet, or ISDN, or however we decide to do our connection -- I'll be reading, and the client may actually be recording on their end in some cases. Now, through my headphones -- they’ll be with me, essentially on the other side of the glass giving me direction as I read. If the client is recording on their end and they have an engineer with them, there are high chances that you’ll do less work. When you’re reading parts of the spot, at any point -- the client can request for his or her engineer to play that part back, which allows them to provide you feedback in real time. So you don't have to do so much back and forth with email and make edits. Sometimes, they'll even fully construct the entire recording on the spot before the session is over. So there might be a situation where you do several takes, they're doing some playback, and they say, “Hang tight for a couple of minutes.” The engineer goes, puts everything together, puts it behind music, and plays a full spot for the client before you hang up. And then they're able to say, “Okay, we're good. We got the spot. You can disconnect now.” This makes the job really easy for you because once you hang up, you're done! There's no more editing, recording, delivery, or anything like that that you have to do on your end as the voice talent. Nonetheless, even when the client is recording on their end, it is wise to record on your end as a backup if you can. Now, if it's the type of job where the client wants you to record on your end, usually there’s still less work involved for you than if you were to get a typical job where you're doing all of the recording and editing on your end. This is because a lot of the times, when you're doing a directed session -- the client will still just want you to deliver the raw session or maybe individual takes, as opposed to going through and fully editing the spots before you send them. What are the things that you need to have in place when you book a directed session? First, you'll need to determine what type of connection the clients wants to have for the directed session. So there is the phone patch option -- which is fairly common. Then, there are several other tools that you can use to make that connection over the internet so that your client can be recording on their end and that the quality of the recording is high enough for them to use it for broadcast. Now you might think, “Connection over the internet? Sounds like a Skype connection is the solution. Easy peasy.” Well, even though Skype is a common tool that allows you to speak to someone anywhere in the world over the internet and its decent quality, for voiceover -- Skype isn't going to deliver a high enough quality for any recording that’s intended to be used for TV or radio spots. Skype wasn’t built for recording broadcast media. So while technically that would work, that's not usually what you are going to be using for this type of recording session. There are some tools that were built for this type of recording, and I'm just going to name off some of those tools right now, and not go into a whole lot of detail because that would make this post a whole lot longer. First, and this is my favorite one, is ipDTL -- which stands for IP Down The Line. You can read more about it, or you can get an account at ipdtl.com. There’s also Source-Connect Now, which is a web based version of Source-Connect. There is ISDN which requires you to have lines installed in your house (kind of like phone lines). And there are connections that you can use as alternatives to bridge ISDN. The quality is not going to be as high compared to if you had an actual ISDN connection, but you can -- in a pinch, if you need to -- have an ISDN-capable studio by bridging with ipDTL. You might ask, “If ISDN produces higher quality, why do we need to resort to alternatives? It’s because ISDN is really old technology, and again -- it does require you to have those lines installed in your house. “But, maybe I can just opt for the other connection choices then -- like phone patch?” A lot of times, a phone patch is not an option for a client. If you've been in the business for a while, you know that ISDN is still pretty popular. It's still the standard for a lot of different types of voiceover work. But ISDN requires a lot more set up and maintenance, and it's not terribly cheap. Whereas the alternatives only require a web browser most of the time. Now if you are a new voice actor or if you're doing mostly explainer videos and maybe you're not represented by an agency, you probably don't need to worry about ISDN or bridging it. You're probably not going to get enough requests for it to be worth it to you to actually invest in getting that technology readily available for you. But, just know that -- in a pinch, if you do need it -- you can bridge with ipDTL. Now, in situations when a client prefers a phone patch, how is it actually done? There’s a technical way of doing it and some equipment is required, but these days -- most of the time, you just need your cell phone, your earbuds, and your voiceover recording tools. How it works is you're going to be on your cell phone with the client (either you call the client or the client calls you), and through your earbuds -- you’ll be able to hear the client’s directions as you’re reading. So you’ll record on your end using your own tools, and at the end of the session -- you would just send the recorded files to the client. Pretty simple, right? 1. Make sure that your phone is in silent mode and that your notifications are turned off. You don't want any type of weird interruptions -- text messages, FaceTime calls, etc. 2. Make sure that you’re recording is as free of glitches as possible. This requires that you close down any program that you don't need open and that you make sure that you test before you jump on your call. The last thing you want to do is hit record and then realize right then that your systems aren’t working, so test them beforehand so that when you get on with a client, there aren't any unexpected surprises. 3. Have a backup software. Personally, I have Twisted Wave and Audacity on my computer. Both of these are recording software. Twisted Wave is Mac-only, but Audacity works cross-platform. I like having a backup system, so that if one of them is acting up, I can just open the other, and hopefully at least one of them is working for me. ​What should you do if the client requests for ipDTL, Source-Connect, or Source-Connect Now connection? First thing is to not get intimidated by that if you've never done a directed session before. You got this. It’s not rocket science! The key is to test it out on your own before your schedule directed voiceover session. Don't make your first experience or your first interaction with ipDTL, Source-Connect, or Source-Connect Now right when you're trying to record live with your client. As I mentioned earlier, my favorite is ipDTL. To use it, you would go to ipdtl.com, click “Get ipDTL”, and from there you can choose a subscription. They range from a $30 a month to $70 a month, or you could do a $15-day pass. It tells you everything that you need right there. Basically, just an internet connection, your web browser, and the way to record (whether that's a USB microphone or an interface to your XLR microphone). From there, if you need help actually figuring out how to make it work, there are facts there on the web page, as well as support. There’s also an ipDTL Facebook users’ group that they link to on their website as well, where you could jump into for community support. Source-Connect is different in that you can do a monthly subscription, but you could also just buy the software and download it onto your computer. Compared to ipDTL which is web-based, Source-Connect is actual software that you download onto your machine. If you want a browser-based version of Source-Connect, that’s where Source-Connect Now comes in. 1. Close all browsers and programs that you're not using. 2. Make sure that you have a great internet connection. I recommend being hardwired as it is more stable. 3. Use the Chrome browser for best performance. 4. When things don’t go as planned, own up to it and do your best to fix it. Let's say you did a phone patch with your cell phone. You're done recording using your own local machine, and you realize there are some really loud spikes that you didn't notice during the session -- maybe you got too close to your microphone or you didn't adjust your gain properly, so the audio’s a little bit distorted. Man, the first thing you're going to want to do is see if you can fix it on your own, but if not and even if you can, you want to own up to it. Let your client know. If it's a job you got through an agent, let your agent know. If recording somehow gets destroyed or otherwise compromised, you just let them know. It's going to be uncomfortable, but the sooner you let them know, the sooner you can work to correct it -- whether that's through creating another session or something like that. It's not going to be fun, but when working with technology, things happen. It's not fun to deal with, but people understand. So those are the basic things to keep in mind when you book a directed session. You have to be prepared. You should be familiar with whatever technology it is that you're going to be using. Know your options as far as the technology options that are available. Come prepared to the session, and have fun! If you want to talk more about Directed Sessions or preparation for those or any of the technology that we talked about today, feel free to join us for a group coaching session. We can talk about technology, vocal performance, business, or any place in your voiceover business that you need coaching. You can get more info on group coaching sessions by texting VOCoach to 44222.
to get more info on group coaching sessions.